Many aspiring musicians most often don't get the balanced mentorship that they need to be functional away from their music. Most grow up desiring to travel the world and play on the big stage but, they end up neglecting their natural God-given role as just being a good man or woman, husband or wife, and father or mother. Musicians are often told that they have a "musical gift", and end up going through life believing all they are supposed to do in life is play their instrument for a living. The irony behind this thinking is, when musicians receive this as their only purpose, they limit their full potential as a human being and struggle to develop other skills outside of music. This can make things really challenging for them as they grow older and start to desire more stability in their life away from playing. 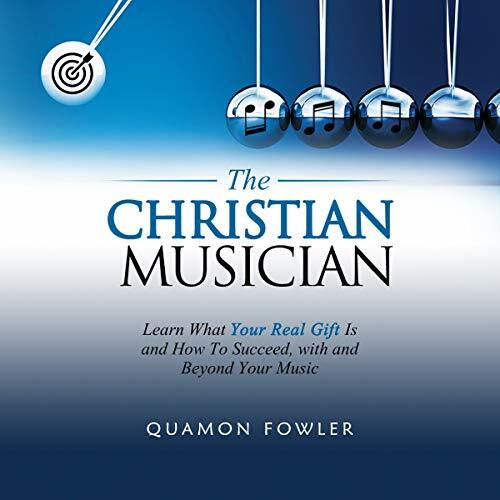 In this book you will learn ways for the musician to obtain stability, learn the importance for musicians to have good mentors in other areas outside of music, and also learn what the musician's true gift is in order to help them in their lives as a whole. This book is for musicians and others who believe the myth that music is a gift. This book is also for those musicians who may be confused of what their purpose really is. As an international, award-winning jazz saxophonist, and now professor of four years in the School of Church Music at Southwestern Baptist Theological Seminary, I've experienced the challenges of trying to support a family as an independent musician. I've experienced playing gigs just for the money because I didn't have a steady job. In this book you will get real stories of what I went through as a Christian musician and what I did in order to overcome the challenges so I could support a family and still be able to play gigs that I enjoyed. Musicians have to realize that their gift is the unique way they think, which can serve them more beneficially when they embrace their God-given role as leaders away from their instruments! Transparent and inspiring, wonderful book! This book offers insight that any musician can find great value in. It inspires introspection and growth! I’m excited to continue on my journey with these rock solid Biblical principles and personal advice in mind.